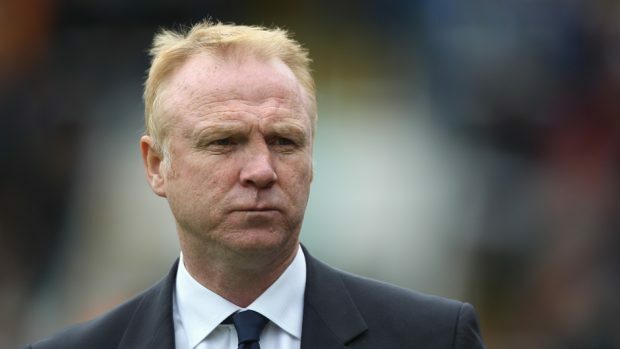 Gothenburg Great Alex McLeish says Aberdeen’s Scotland’s hopefuls have to prove they are ready to step up to the national team by starring against Rangers on Sunday. The Dons are 12 points clear of Pedro Caixinha’s side in the race to finish second in the Scottish Premiership with seven games remaining. Despite Aberdeen’s impressive domestic form, McInnes’ players, such as Kenny McLean, Graeme Shinnie and Ryan Jack, have generally been overlooked for international recognition by Scotland manager Gordon Strachan. But McLeish, a former national team manager, believes they must use opportunities in big games against Celtic and Rangers to show what they can do. He said: “I don’t think there is any doubt that Aberdeen will start as favourites on Sunday. “People are clamouring for Dons players to get in the Scotland squad. “These are the games where the likes of Kenny McLean and the other players who aspire to be in the national team have to come to the party. “They have handled the pressure of Rangers being back in the league really well this season. “They have disregarded that and gone on a wonderful run which is a credit to their mentality. “Aberdeen are tried and tested in this league and Derek has managed to keep a very stable team over the last couple of years. “The only way I can see things changing next season is if Rangers spend a few bob. “I know people will say they spent more money this season but the money wasn’t spent on top players. “There was always going to be a level of inconsistency. “Rangers have spent more than the other teams in the league and they were expected to be second. “I think that has rankled one or two of the other teams in the league. “I read the comments from one of the Aberdeen players (Anthony O’Connor) who was bemoaning the fact that Rangers get more media coverage than the Dons. “In games like this, Aberdeen’s big players have to show what they can do, especially the likes of Kenny McLean. McLeish has a foot in both camps having made 693 appearances for Aberdeen during his playing days before later spending five years as Rangers manager. The 58-year-old was tipped as a contender to replace Mark Warburton when he departed Rangers in February and could have been in the opposition dugout this weekend. He added: “When I spoke to Rangers, I said I would have wanted further talks if they had chosen me. “They didn’t choose me and asked Pedro to be the man.